If your garage door is letting in some cold drafts, it’s time to start looking into garage door weather seal options. And it just so happens that Pros On Call provides expert weather stripping services as part of our garage door repair solutions. And by turning to us for all of your garage door needs, you can enjoy all of the benefits that come with hiring Pros On Call. So, whether you want to repair on install the new garage door weather stripping materials, we can help! Contact Pros On Call for a free quote and to request our garage door weather seal replacement services. The main purpose is to prevent the elements (snow, rain, etc…) from getting inside. They also help keep out unwanted rodents and pests from settling down in your garage. These vinyl, rubber seals are a critical component of your garage doors that suffer from wear and tear more quickly than other garage door parts. Weather stripping on garage doors is frequently exposed to hot or cold air. And, each time you open and close your garage doors, additional stress is applied. There are a few tell-tale signs that it’s time to request our emergency garage door services to have your weathering stripping replaced. Besides keeping your house warm, sealing the garage offers other benefits that include protecting your family from the health issues that result from pests and airborne pollutants. By protecting your family from the cold air, you can avoid a host of respiratory diseases as well. When it comes to sealing your home, the garage door is always the priority due to its size and the potential to allow air to the drafts to come into the house. 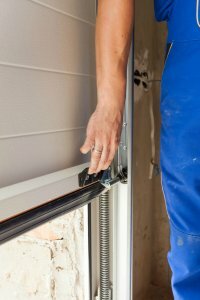 When it comes to garage door weather stripping replacement, avoid using the inferior materials that could cause trouble in the future. By having new weather sealing properly installed by our professionals, you can enjoy lower energy bills. Plus, you will be less likely to have to spend money on exterminators if your home is properly sealed. Our experts ensure that everything is done right! First, we take measurements. Then, we install the seal and remove the remaining pieces as we move along the door. To ensure that the seal is firmly attached, we use a strong adhesive. The main reason why vinyl is the best candidates is the flexibility. The flexible rubber and vinyl will compress once the door is closed, keeping out the water, air, and pests at bay. We know which adhesive works best with which sealing. This is important because if a weak adhesive is used, your new weather stripping will be no good. 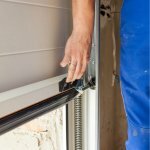 Weather Seal https://prosoncall.com/garage-doors/repair/weather-seal/ 3.8/5 based upon 22 reviews.